Buildings in the approved Development Plan located within a local Historic District will comply with the North Carolina General Statutes. 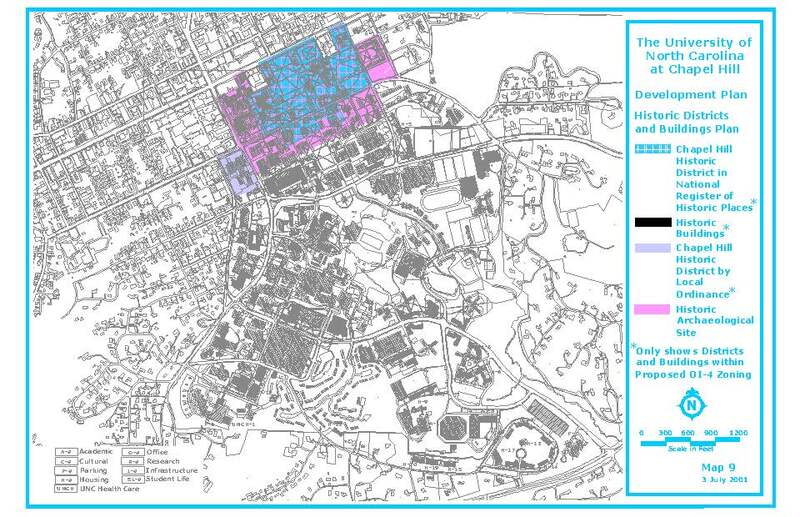 All campus development in the Chapel Hill Historic District is subject to review by the NC Department of Cultural Resources. In addition, two campus buildings, Playmakers Theater and Old East, are National Historic Landmarks and the Carolina Inn is individually listed on the National Register of Historic Places.